At ACE GLOBAL DEPOSITORY, we are not an ordinary lessor or storage provider or collateral manager. We are intimately securing the financing transaction. We play a key role as a buffer between the borrower and the lender. This is in order to ensure that that the lending terms and strategy perfectly match the ground operations and the underlying transaction flow. It is the function when properly conducted, which allows the warehouse receipt which we issue, to assume its role as financial instrument actually securing the lenders interests in the underlying commodities. 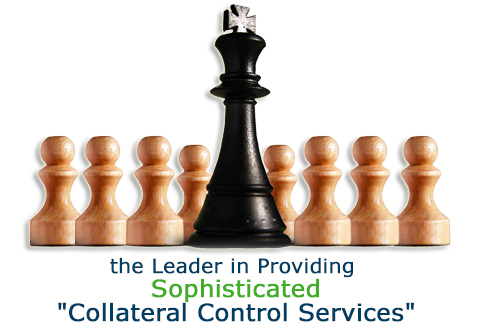 Our key collateral control services are provided whilst using adequate credit support tools relevant in respect of filed warehousing, collateral management, secured distribution, certified inventory control services, as well as field audits, inspection, monitoring, all to international clientele. Through our world-class software systems and experienced staff, we are able to identify and secure the weak links in distribution chains for the account of our partners in any location. This accompanied by our Professional Indemnity and Fraud (PI) insurance which is one of the best available in the industry places us in an unrivaled position.